Launched in April 2013, the Male Vocal Group is for boys and young men from 12-13 years of age who love to sing. The ensemble performs a range of repertoire from various styles including contemporary Australian, jazz, pop and world music. Working with a talented musical team, the Male Vocal Group allows for the change in boys’ voices and the professional expertise guides them through the literal highs and lows of their changing voices, working with repertoire chosen to suit voices at varying stages of development and change. In the focused musical environment of this group, pieces are selected to develop the technical skills necessary to deliver outstanding performances. They emerge as young tenors and basses, adding to the fabulous sonorities of the YAV ‘family’. In recent years, in addition to regular collaborations with the other choirs of Young Adelaide Voices, the Male Vocal Group has sung in massed choir performances of Vivaldi’s Gloria and Handel’s Zadok the Priest in 2015, and John Rutter’s ‘When Icicles Hang’ in 2016, alongside a range of local schools including St Peter’s College, Brighton Secondary School, St Mary’s College, Christian Brothers’ College and others. In 2017, the choir travelled to Pemulwuy National Male Voice Festival in Queensland. In 2018 MYC was a part of ‘What do you do with an idea’ with the Adelaide Symphony Orchestra. 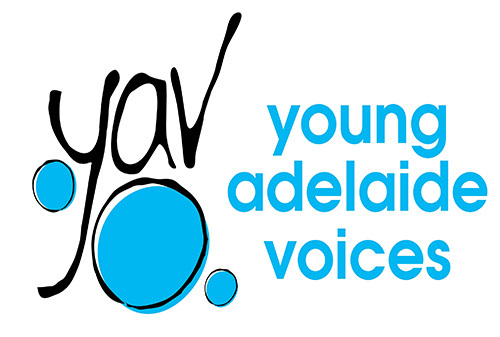 Young Adelaide Voices is proud to be creating this singing pathway for young men.